Quality surface preparation is important. We have gone over several methods out there in prior blogs but recently I was watching a how-to video on steps to sanding a car for new paint and thought, does he know it doesn't have to be so difficult. On one single fender in the video the guy used 4 different grits of sandpaper - power sanded, then went back over the fender by hand with a scuff pad, sprayed a grease remover and cleaner on, re sanded by hand the missed areas, resprayed the grease remover and cleaner, found another spot that needed to be sanded a little better and resprayed grease remover and cleaner one more time to get it ready to prime. Effective? Maybe. Efficient? I don't think so. Quality surface prep is important and that's why we have the machine to make you the master of surface preparation. Dustless Blasting can make the process safer, allows you to consume less media (compared to dry) and less water. It cleans while it strips and will give you a primer ready surface in 1 step. Not long ago Brian Lohnes from Motorhead Garage got to try out the Dustless Blaster on a fender. 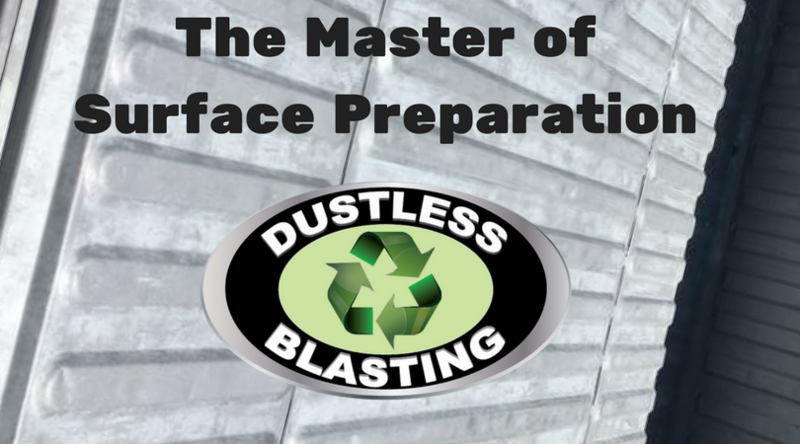 It really doesn't get much easier than using Dustless Blasting in the surface preparation industry. You can see the full episode of Dustless Blasting on Motorhead Garage as well as other videos on our YouTube Channel. Check it out and see hundreds of videos that show you why we have the machine to make you the master of surface preparation.